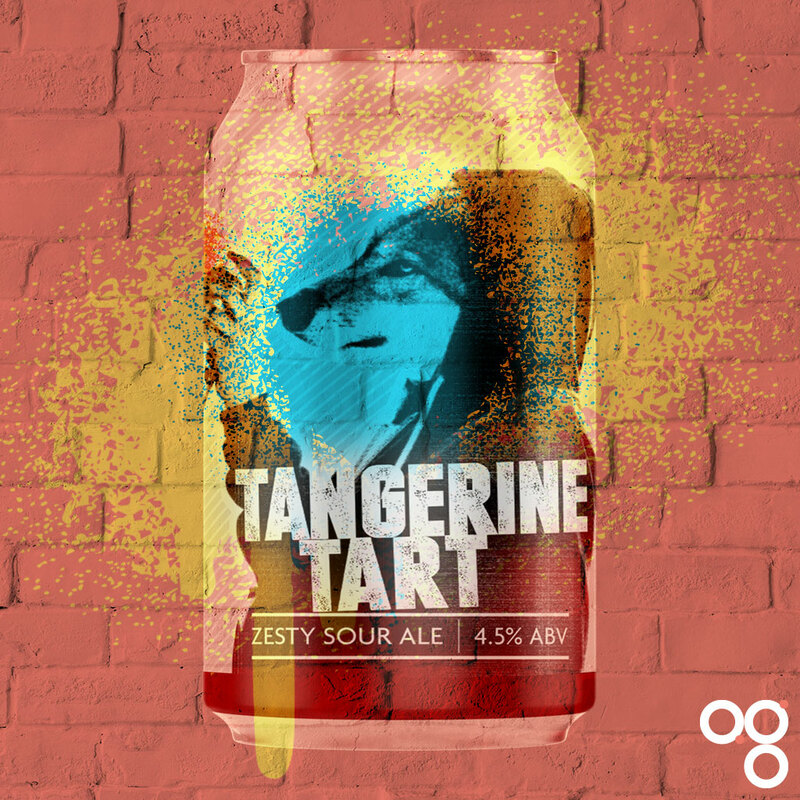 Here’s your cheat sheet for Tangerine Tart by Fierce Beer. We had their Cranachan Killer a while ago – possibly in the plus box? Today’s is a sour ale, and it’s vegan friendly. The brewers say that if beer is art, then this is a secret street masterpiece. Featured in main subscriber box on 6 December 2018. Find Fierce Beer on Twitter at @FierceBeer and on Instagram at @fiercebeer. Serve this beer between 7 and 10°C; stick it in the fridge for around an hour. The brewers describe this beer as “cuddly, juicy and zesty on the outside, but with a sour finish that comes out of nowhere and grabs you like a hungry wolf.” So perhaps a music pairing for tonight’s beer is in order? Spot of Duran Duran perhaps? Terrible 80s throwbacks aside, this beer should be light and zippy with fruity notes followed up by lacto sourness. The hop used here is Chinook. If you want to pair this with food stick to light dishes. The beer itself will be light and easy-drinking, so the food should match that. One successful strategy might be to match up something sweet agains this beer’s acidity. Perhaps a salad of carrots and grains of some sort. I’m imagining a dressing of honey and warming spices… coriander perhaps and cumin. Caraway is always good with carrots. Maybe a touch of sumac to mirror the sourness in the beer. You could even try using beer in the salad dressing in place of vinegar. You could even put a bit of white fish with this – something simple and delicate. Pan fried, probably. Read more on this beer from BeerBods and Fierce Beer. You can also check out some of the previous cheat sheets if you want to catch up on a beer from past weeks.